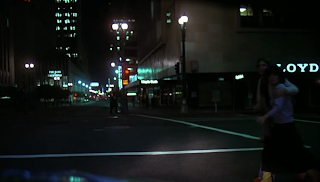 Imagine all those detective films from the 1940s with Humphrey Bogart, but instead its the 1970s and Bogart is a dope smoking, counter-culture has-been nostalgic for the radical days of protests and fighting for 1960s liberal causes. 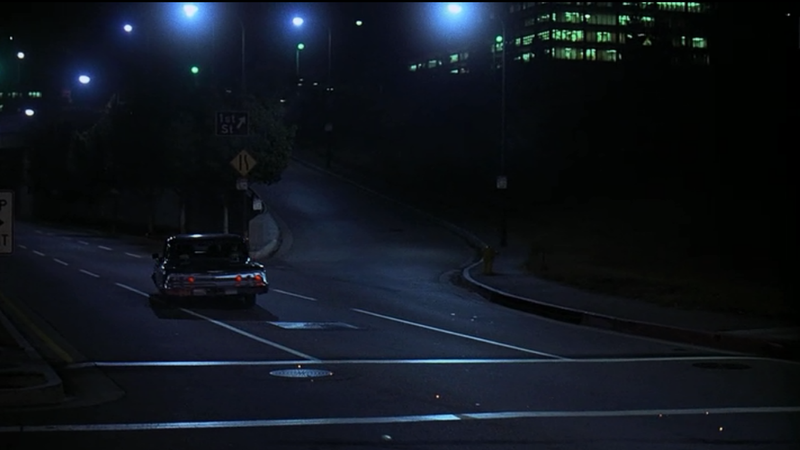 That's kind of how the film The Big Fix feels. 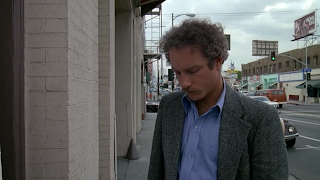 Instead of Bogart and his Sam Spade/Philip Marlowe characters we have Richard Dreyfuss playing private eye Moses Wine. 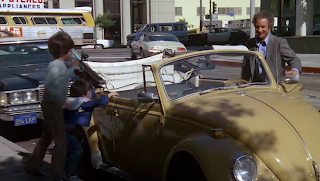 Where Bogart had a tough guy presence - I mean you wouldn't be surprised to see him throw a punch at a guy that had it coming, the Moses Wine character is not a tough guy, but a Berkeley schooled academic rebel more familiar with protesting or arranging sit-ins. In the film, Moses is a divorced father of two, just barely getting by financially, when his old college friend Lila (Susan Anspach) hooks him up with a job. 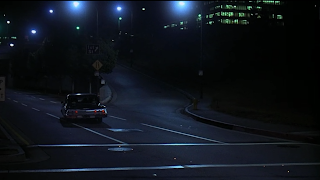 Lila wants Moses to work for Milles Hawthorne, a candidate running for governor of California, to investigate who has been trying to sabotage his campaign. 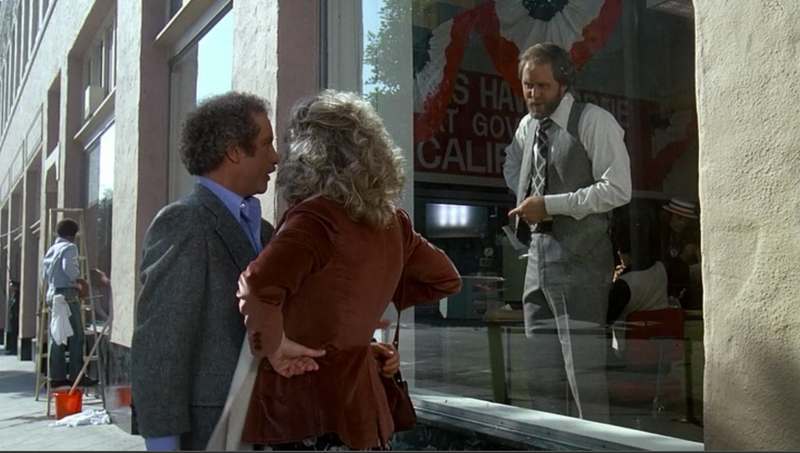 Although Moses doesn't agree with Hawthorne's policies, it seems like all the other 1960s radicals have sold-out, so why shouldn't he? Besides, he needs the money. Moses takes on the task but the deeper he gets in his investigation, the stranger and more dangerous things become. 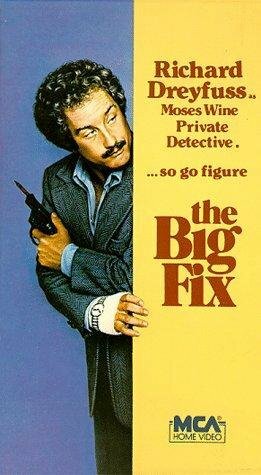 Although there are some holes in the plot, The Big Fix is still an interesting story with an excellent performance by Richard Dreyfuss. 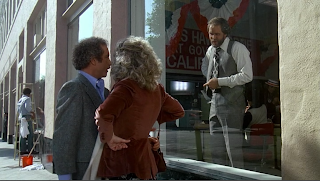 The supporting cast is great too, particularly F. Murray Abraham playing an Abbie Hoffman like character. 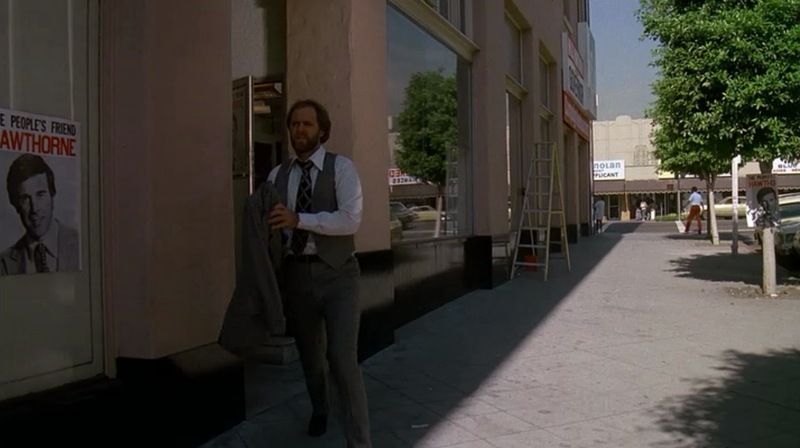 Seeing John Lithgow in a full beard in what was one of his first film roles was also interesting too. 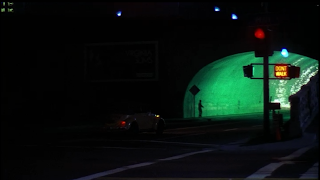 The Big Fix was filmed all over Los Angeles, from downtown LA to the beachside boardwalk in Venice. 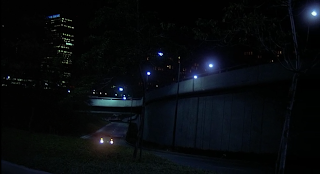 This post is part one of two which features many of those filming locations. You will have to check back next week for part two. Looking at the corner of Wilshire and Shatto Place. 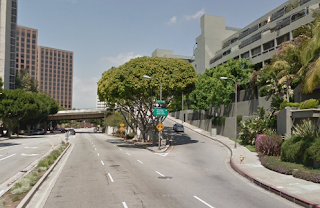 The Hawthorne campaign headquarters are located at the corner of Wilshire Boulevard and Shatto Place (see comparisons above and below). The building has since been demolished and the site is now a vacant lot. The whole area has changed quite a bit since 1978, with old buildings torn down and replaced by new developments. 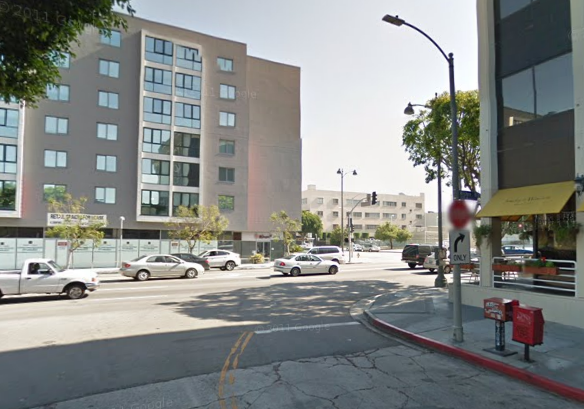 the campaign headquarters window facing Shatto Place. 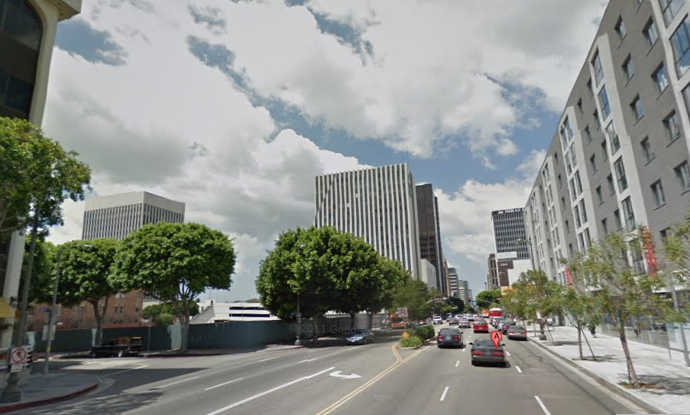 as seen from Shatto Place near Wilshire Blvd. headquarters. 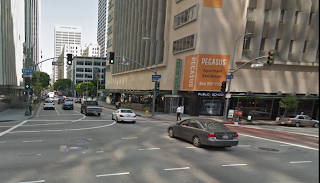 A Wells Fargo can be seen across the street. 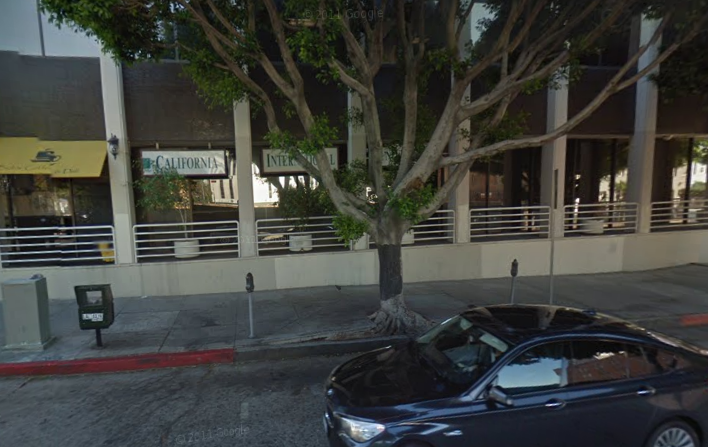 there but its no longer a Wells Fargo. 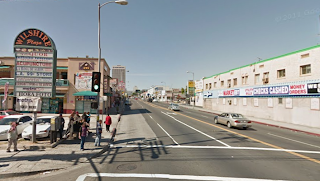 Looking south down Shatto Place towards Wilshire Blvd. development stands in its place. 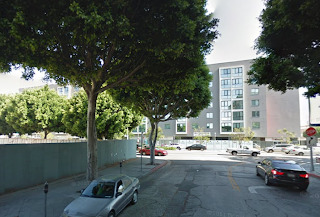 Dreyfuss, with kids, gets in car parked on Shatto Place. Looking from Shatto Place across Wilshire Blvd. 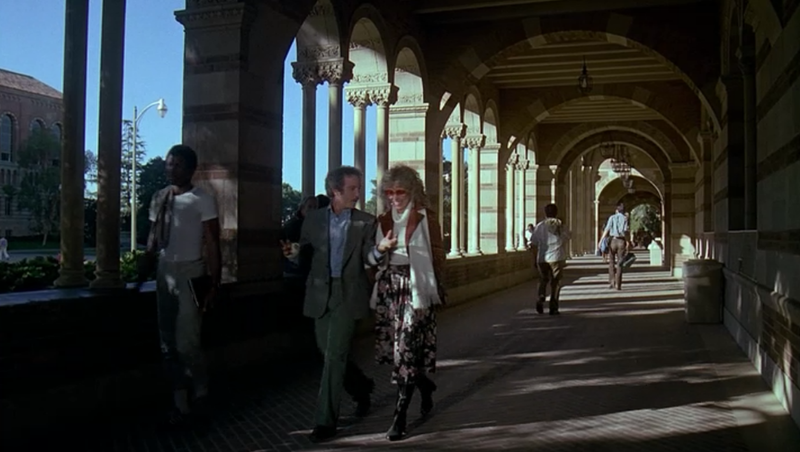 Early in the film Dreyfuss and Anspach pay a visit to the University of California Los Angeles. In the scene below Dreyfuss and Anspach are first seen walking down the outside hallway of Royce Hall and then entering the UCLA Humanities Building. 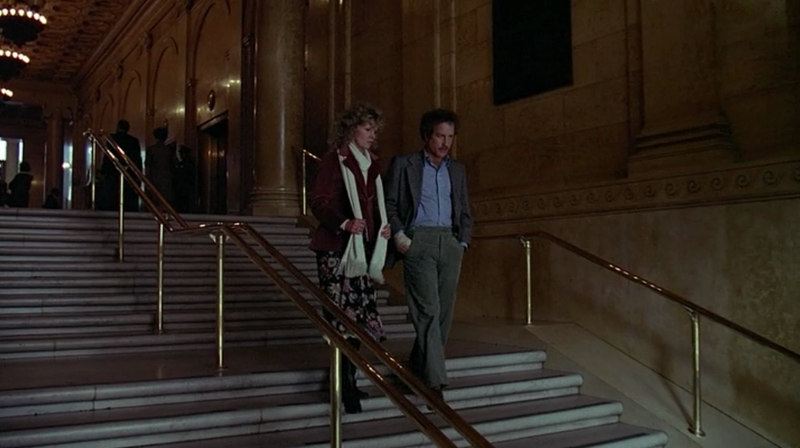 Dreyfuss and Anspach walking down Royce Hall at UCLA. 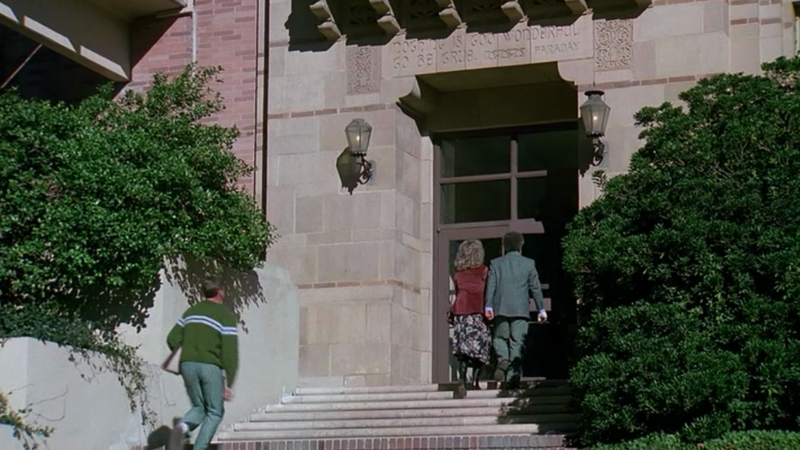 Anspach and Dreyfuss enter the UCLA Humanities Building. 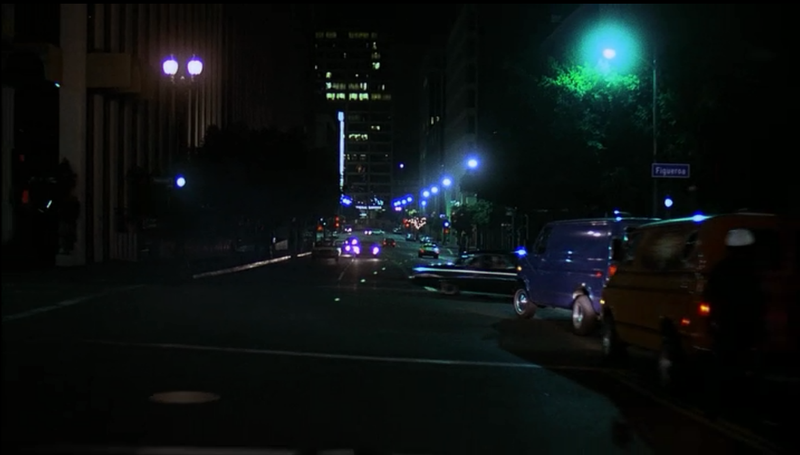 In another scene Anspach and Dreyfuss visit the Hall of Justice building located in downtown Los Angeles at 210 West Temple Street. 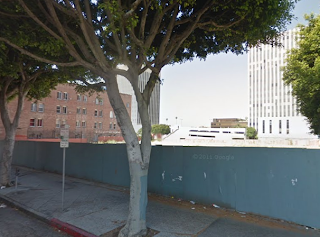 Ever since the 1994 Northridge earthquake this 1925 building has been sitting vacant. 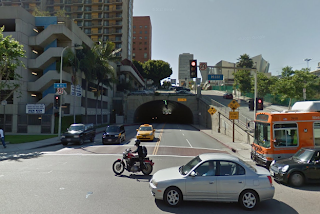 This landmark is where Robert Mitchum served time after being charged with marijuana possession and was also the location where the autopsies of Marilyn Monroe and presidential candidate Robert Kennedy took place. 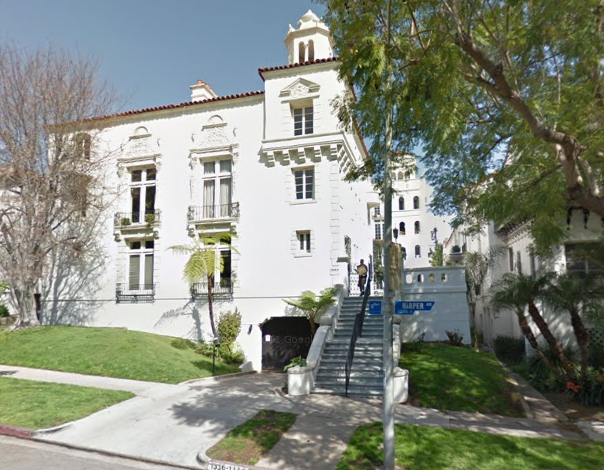 To see how the interior of the Hall looks today visit the website of Los Angeles County Supervisor Zev Yaroslavsky. The exterior photo of the Hall of Justice building is one I took. 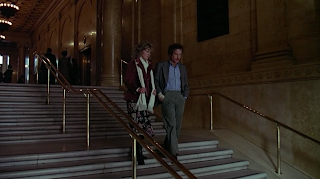 Anspach and Dreyfuss walk inside the Hall of Justice. An exterior look at the Hall of Justice building. 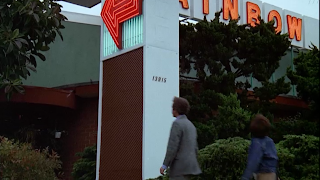 While on the hunt for his suspect, Dreyfuss goes to the Rainbow Club Casino. 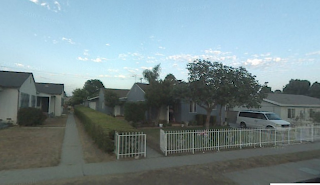 According to an old advertisement I found the address was listed as 13915 South Vermont Street, Gardena California. 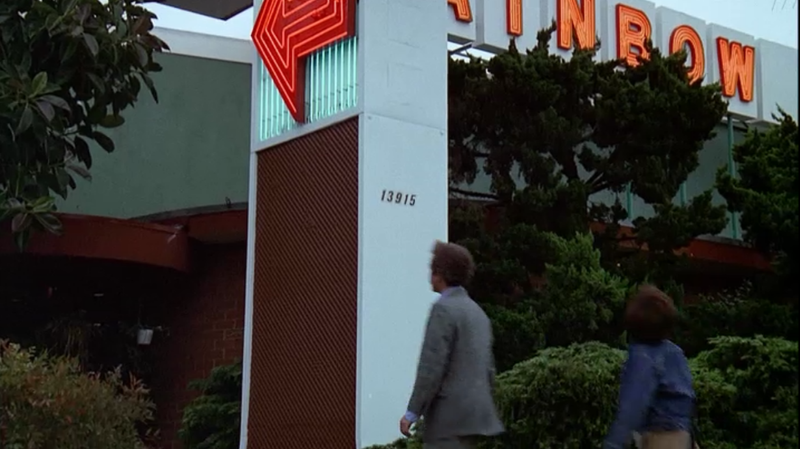 The building as seen in the screenshot also has an address number of 13915. 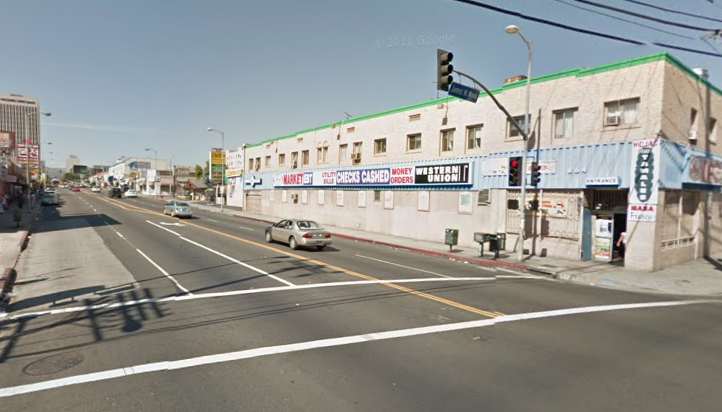 There is no casino located at this address anymore. 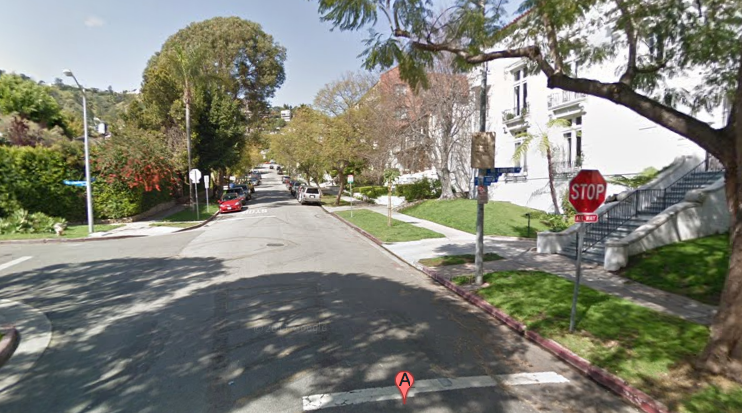 Now its a tract with small homes. 13915 S. Vermont Ave, Gardena, Ca as it appears today. 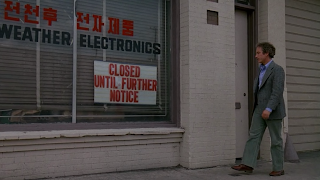 In the next scene Dreyfuss visits an electronics shop located at 905 S. Vermont Avenue where he expects to find more about his suspect. 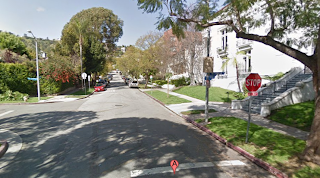 Dreyfuss exits car parked at 905 S. Vermont Ave.
9th Street is the cross street in the background. 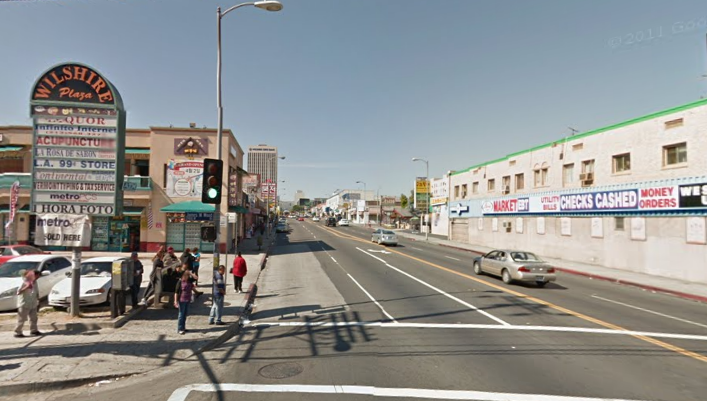 Looking down Vermont Ave from 9th Street. 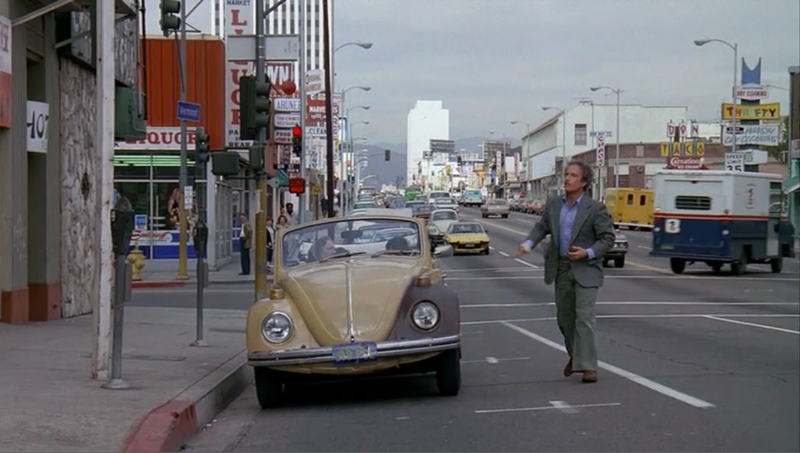 Dreyfuss outside the electronics shop at 905 S. Vermont Ave. The view looking from the electronics shop today. 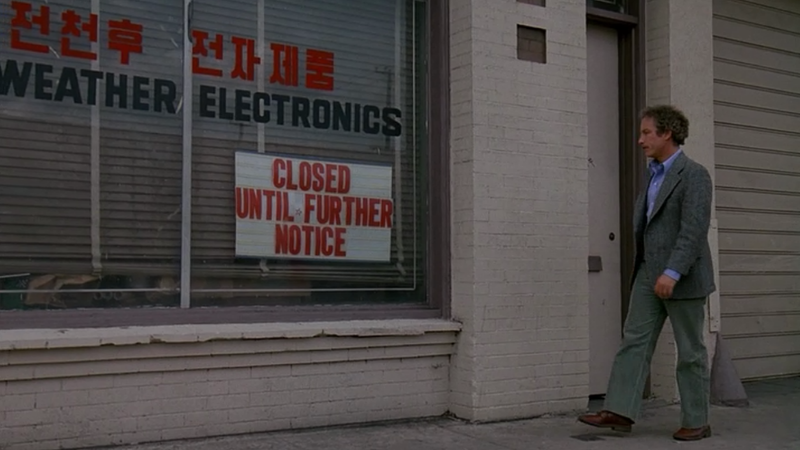 Dreyfuss outside the electronics shop on Vermont Ave. 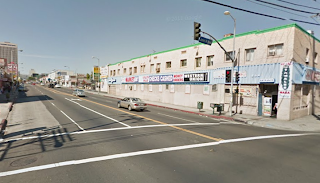 There still is an electronics shop at 905 S. Vermont Ave! Anspach's character lives in the Harper House apartment building located at 1336 Harper Avenue in West Hollywood. 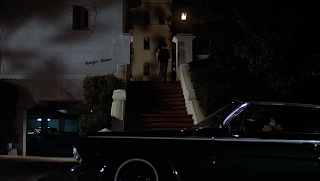 In the scene below Dreyfuss is seen walking up to the Harper House apartment. 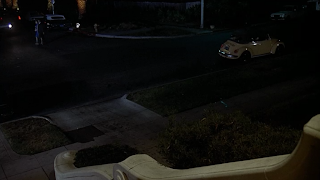 Looking from the entrance of the Harper House as seen in the film. 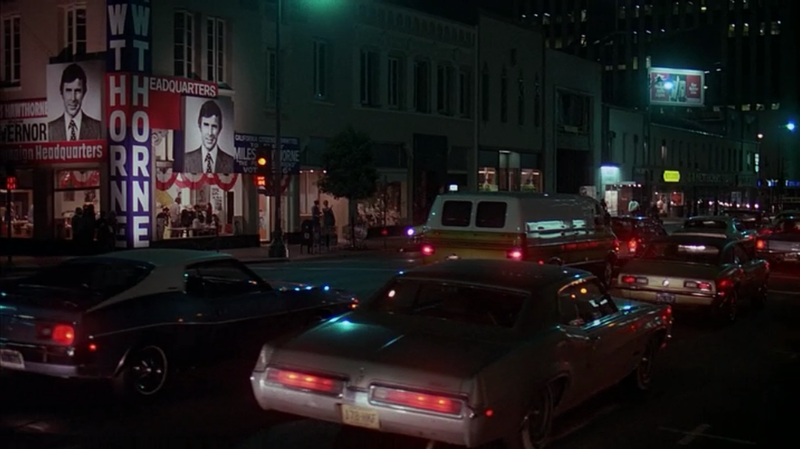 The view in front of the Harper House. 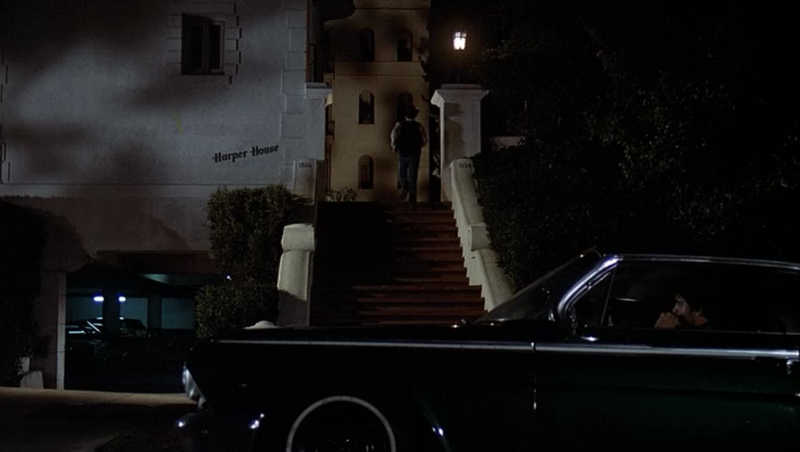 1336 Harper Ave.
Dreyfuss walks up the stairs of the Harper House. The Harper House building as it appears today. 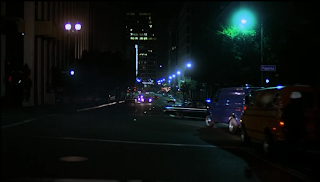 The last few comparisons involve a car chase scene that takes place in downtown Los Angeles. 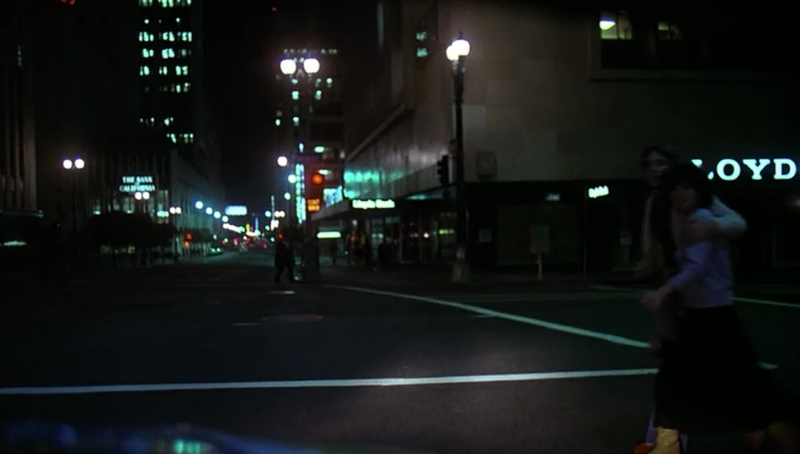 Flower Street at 2nd Street as seen in the film. 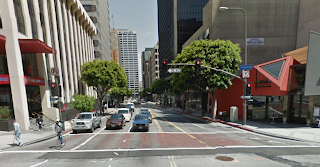 Flower Street at 2nd Street as it appears today. Dreyfuss in VW bug on 7th Street near Hope Street. Looking down 7th Street towards Hope Street. Looking down 6th Street from Flower Street. Looking down 6th Street at Flower Street today. 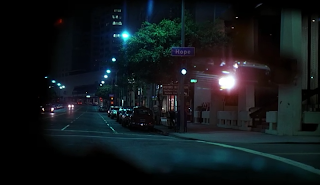 Looking down 7th Street from Hope Street. 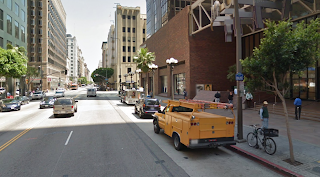 Looking down 7th Street from Hope Street today. Looking down Wilshire Blvd from S. Figueroa Street. 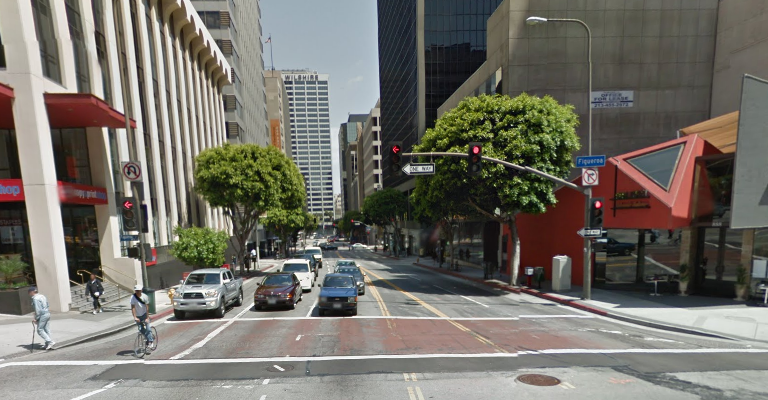 Looking down Wilshire Blvd from S. Figueroa Street today. Entering the tunnel at 2nd Street and Hill Street. Looking towards the tunnel at 2nd Street and Hill Street. 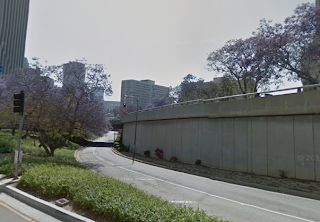 The ramp to 1st Street from S. Figueroa Street. 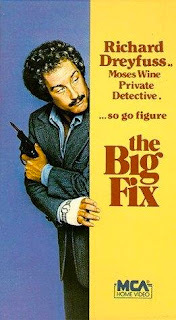 I don't believe The Big Fix (1978) is available on DVD but it is currently available as a Watch Instantly title on Netflix and has been released on VHS. 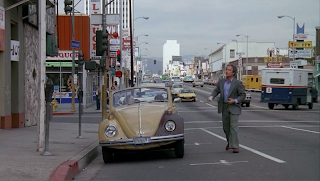 To read part two of the filming locations for The Big Fix (1978) click here. 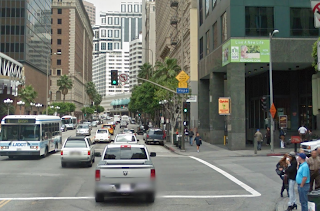 Except for the Hall of Justice image, all Street View images (c) 2011 Google. MissPatricia, thanks for the comment and glad to hear you had an enjoyable trip down memory lane. How fun for your son to have had the opportunity to play one of Richard Dreyfus's sons in the film. That must have been quite the experience! 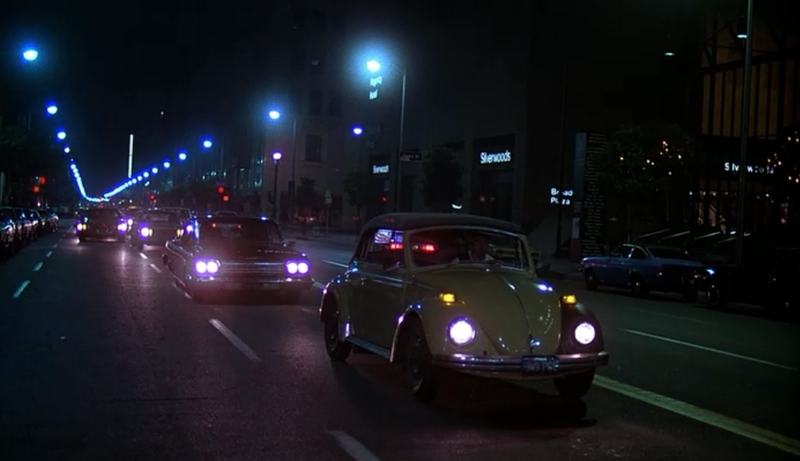 The boys were great in their scenes.